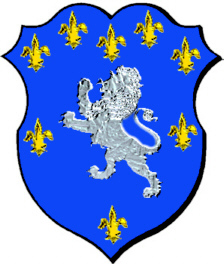 Coat of Arms: A blue shield displaying a silver lion between eight small gold fleur-de-lis. 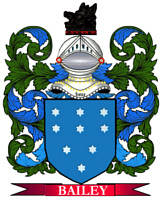 Motto: Fide sed cui vide. Motto Translated: Trust, but in whom take care. The Anglo-Saxon tribes of Britain were the first to use the name of barker. The name had a practical origin since it came from when its initial bearer worked as a person who stripped trees of bark for tanning. The name barker is also an occupational name for a person who tended sheep at pasture. Spelling variations include: Barker, Barkers, Barkes, Barkess, Barkere, Barkar and others. First found in Cambridgeshire, where they were seated from ancient times. Some of the first settlers of this name or some of its variants were: Edmund Barker, who sailed to Maine in 1625; Alice Barker to Virginia in 1648; Samuel Barker to West New Jersey in 1664; Elizabeth Barker to Barbados in 1669. 1. English: occupational name for a tanner of leather, from Middle English bark(en) ‘to tan’, tree bark having been used as the tanning agent. 2. English: occupational name for a shepherd, Anglo-Norman French bercher (Late Latin berbicarius, from berbex ‘ram’, genitive berbicis). With the change of -ar- to -er- in Middle English, this became indistinguishable from the preceding name. 3. Altered spelling of German Barger or Berger.